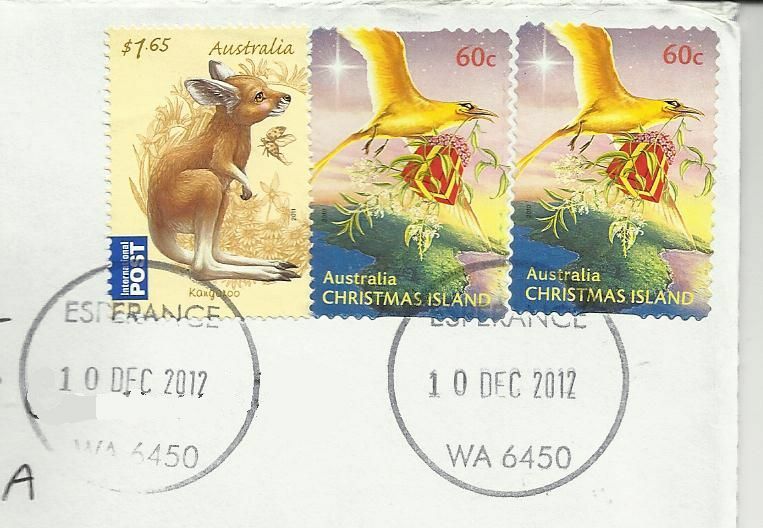 Every year in December you'll find some of the Christmas Island endemic birds featured somewhere on their Christmas stamps. The Christmas Island 2010 stamps did not disappoint their collectors and here you see the unique Golden Bosun ..also known as the White-tailed tropicbird (Phaethon lepturus fulvus). These elegant birds are distinguished by prominent black bars on the upper wing and a golden tinge to the plumage and golden tail streamers.